Hello Lil Luna readers! 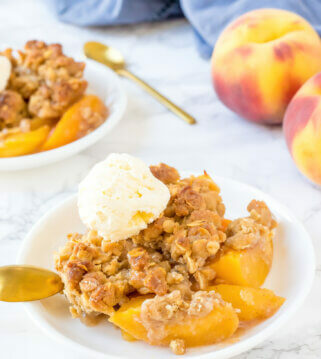 It Kristin from Yellow Bliss Road back with another amazing recipe. 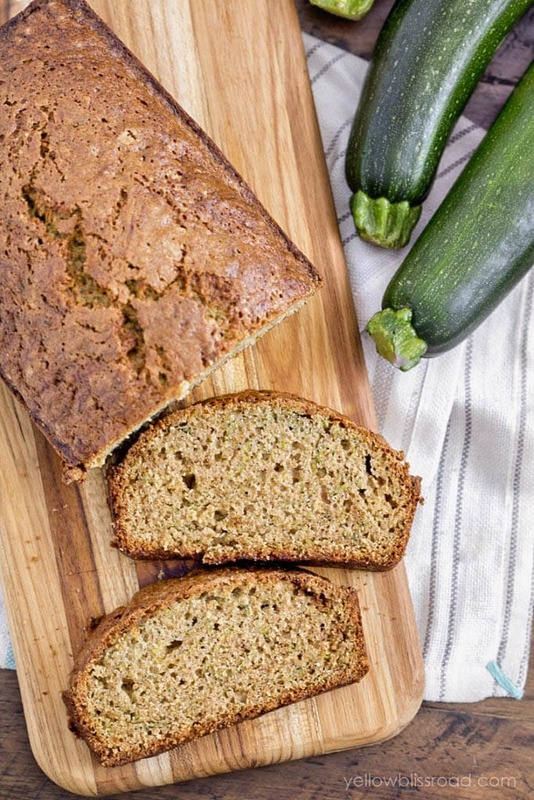 This one will definitely have to make it into your summer meal rotation. 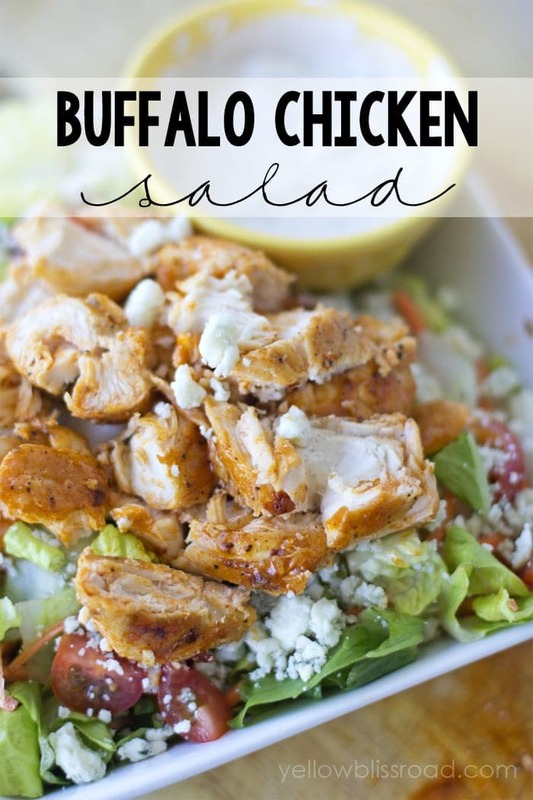 Spicy buffalo chicken, crisp lettuce, and tangy blue cheese…I know you’ll love it as much as I do! Salads are the perfect way to cool off in the summertime. 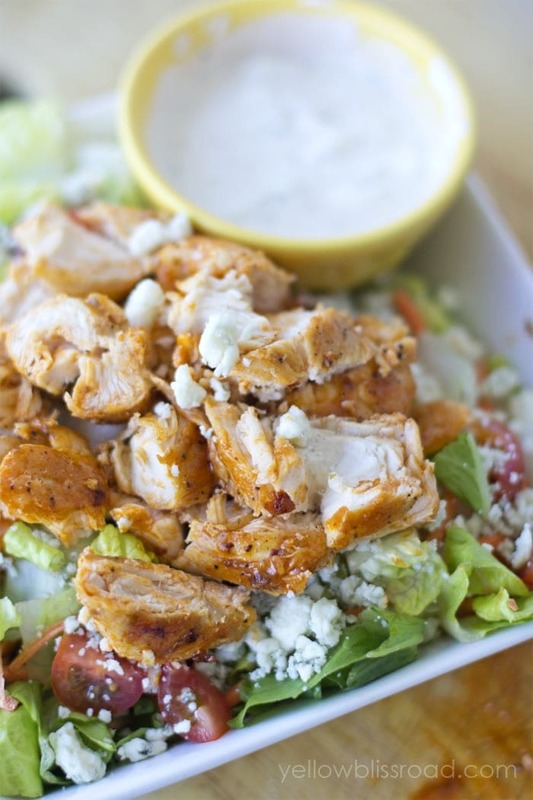 This Buffalo Chicken Salad adds a little bit of a spicy kick to your basic boring salad. We love salads around our house – even my kids are salad fanatics. They have been known to order salad with their dinner instead of fries. The servers always look at me funny when they order salad, but I’m thrilled that they seem to love salads as much as I do. Of course, you have to be careful with the dressings because you can end up with just as many calories as those fries! 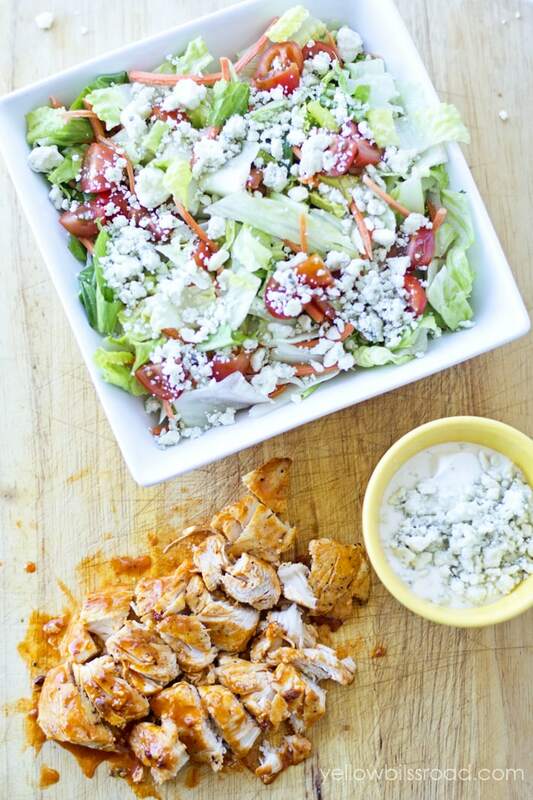 So how about we make a little spicy buffalo chicken to pair with our salad today, shall we? My favorite method for making grilled chicken quickly is to use my easy stovetop grilling method. 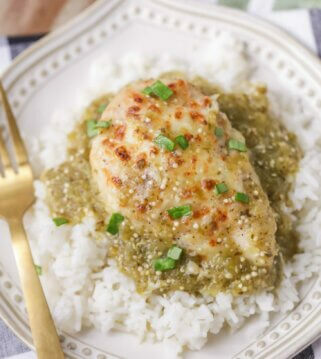 Heat up some olive oil in a skillet , season chicken tenders with salt and pepper, and cook for a few minutes on each side until chicken is nice and browned on each side. 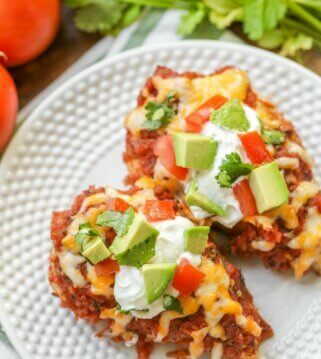 Turn off the heat and let the pan rest for a minute, then add some buffalo wing sauce right into the pan and on top of the chicken, turning it to coat the chicken completely. This is the point where you need to decide just how spicy you want it. 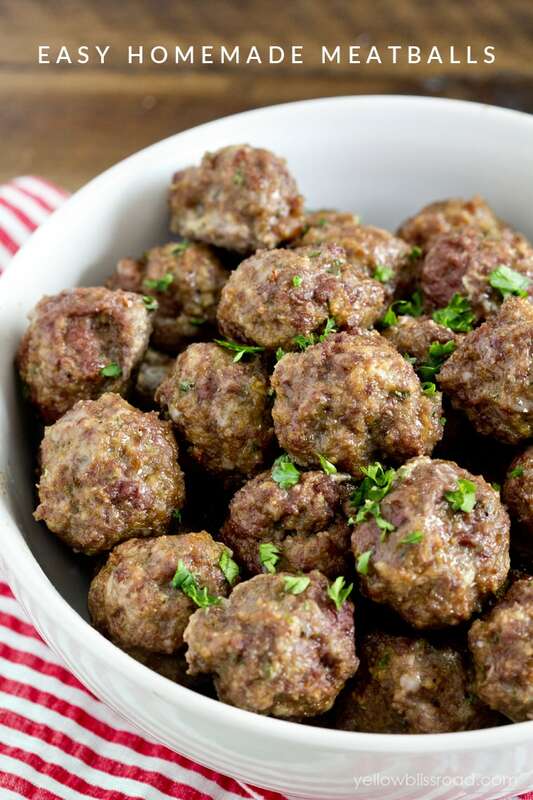 You can add a lot or a little sauce, depending on your tastes. 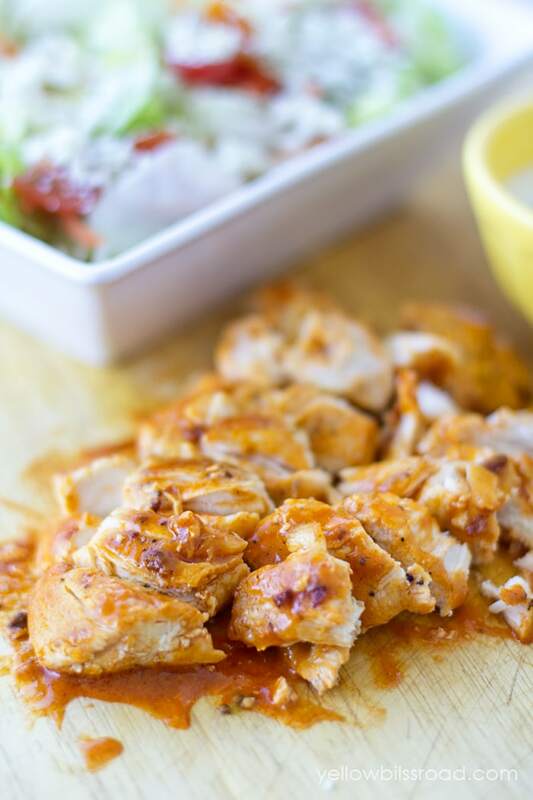 Once you’re satisfied with the sauciness of your chicken, remove to a cutting board to slice and dice it. Want it saucier? Add the diced chicken back to the pan to coat it some more. Since my son was going to be eating this salad with me, I opted to skip that step in favor of a little less spice. 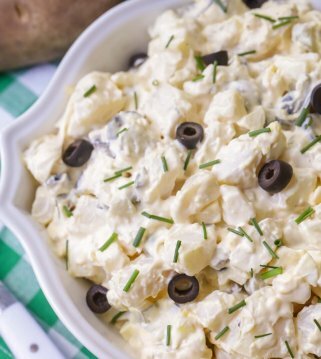 To make the dressing, add a tablespoon of crumbled blue cheese to about a quarter cup of ranch dressing. This makes enough dressing two hearty salads. The salad itself should consist of crisp lettuce like iceberg or romaine – I like to use a mix of both. Add in your favorite salad veggies, like tomatoes, carrots or celery. 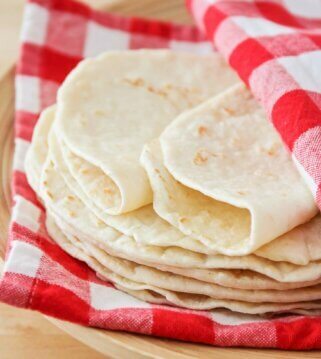 Super simple to make, and so delicious! Enjoy! 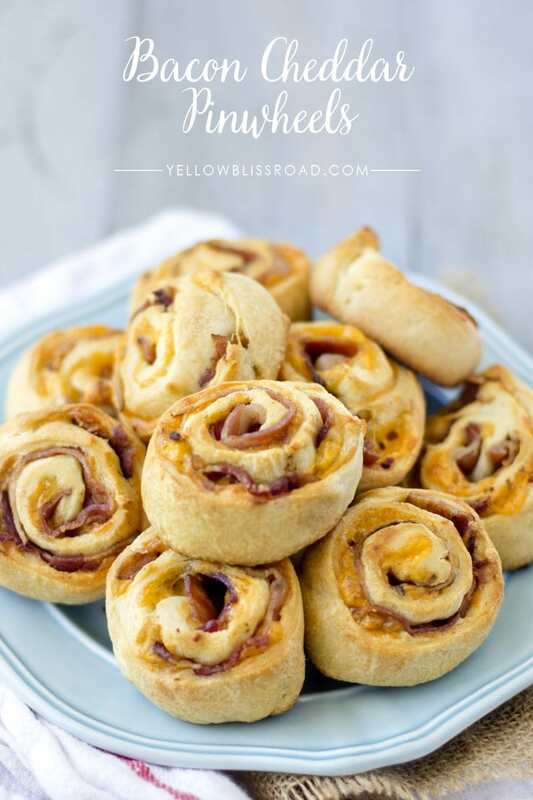 For more great salad recipes, be sure to visit Yellow Bliss Road where I’ve got a great round up of 25 Delicious Salads and Lettuce Wraps! Spicy Buffalo Chicken Salad - YUMMY!! Ingredients include chicken tenders, buffalo wing sauce, lettuce, crumbled blue cheese, ranch, and your favorite salad mix-ins. Heat olive oil in a medium skillet over medium-high heat, then reduce to medium. Season chicken with salt and pepper and add to the skillet, turning a couple of times for even cooking. When both sides have browned and juices run clear, remove skillet from heat. Add buffalo wing sauce to the skillet and coat chicken. Add more or less sauce, depending on your desired spiciness. Prepare salad; add toppings of your choice, like celery, carrots or tomatoes. 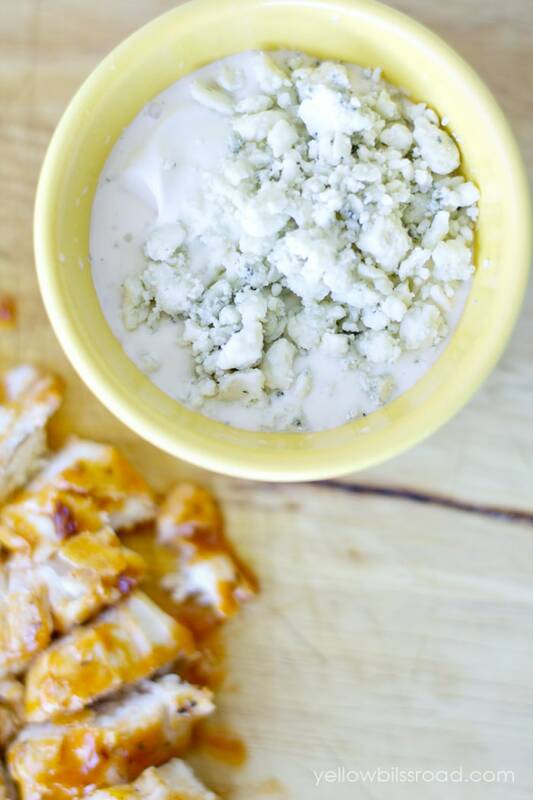 Mix ranch dressing with 1 tablespoon blue cheese crumbles. 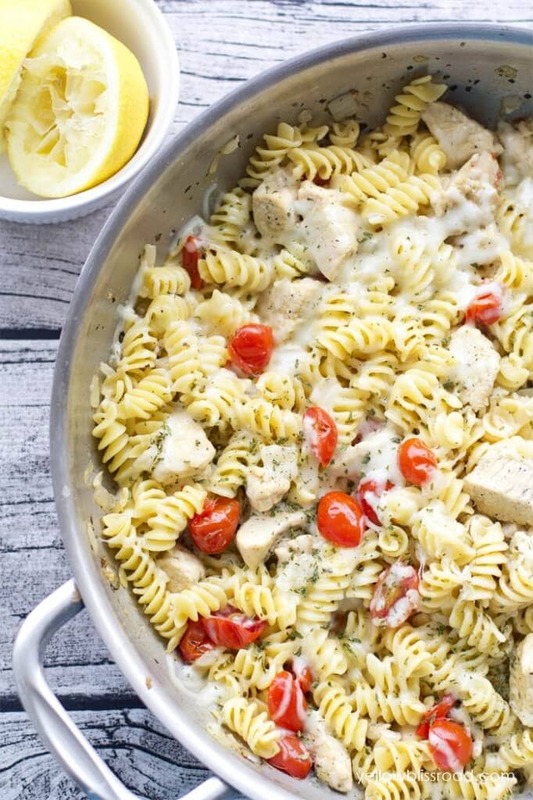 Slice chicken and add to the salad. Top salad with homemade blue cheese dressing, and additional blue cheese crumbles. Drizzle with more buffalo wing sauce, if desired. 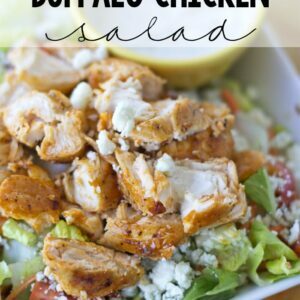 Buffalo Chicken Salad is one of my all-time favorites, and I’ve yet to make a Homemade version. Can’t wait to try this! 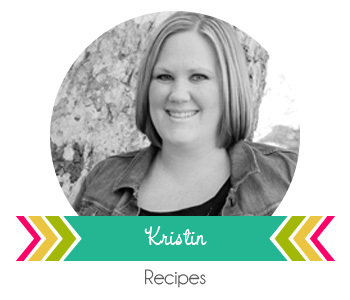 For more great recipes from Kristin, be sure to head over to Yellow Bliss Road, and for more information about her go HERE. 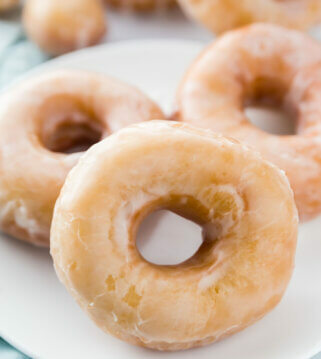 My family will love this recipe – Thanks! Love this salad. 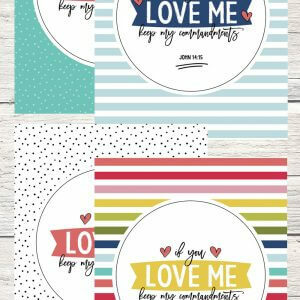 Thank you and have a great Sunday. Haha!! Sure is!! Hope he gives it a try!